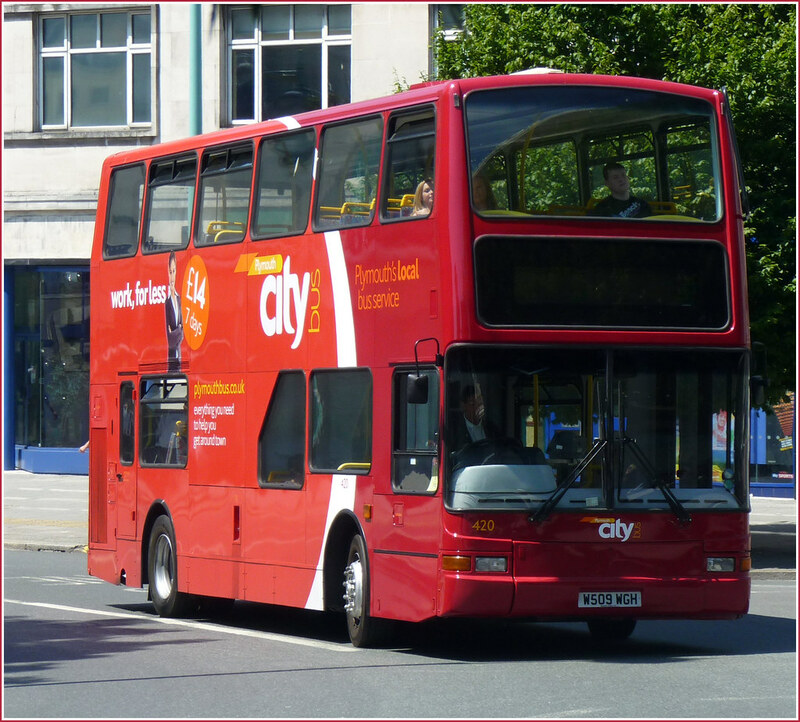 A nice simple post today, with my first proper photo of Citybus 420 in service in her new livery. It really does look much better on double deckers! 9 more to go! With the removal from service of the step Darts and the Mercedes, do you think fleet numbers might change? Go North East's conversion of their 35 Plaxton bodied B7TL's acquired from London General are continuing apace. I have scene 420 on service with the 43 today also a Mercedes Citaro Demonstrator in Milehouse Depot? Go North East's ones are far more impressive, with a superb internal refurb. Plymouth haven't even replaced the hard plastic anti-vandal seats at the rear of the top deck. Nice to see one out and about at last. Are they all for the 43 in due course ?? Like the red but hate that maroon.